Patrols to be increased in effort to prevent bicycle and pedestrian deaths in Hillsborough Co.
HILLSBOROUGH COUNTY, Fla. — The Hillsborough County Sheriff's Office is increasing patrols in four of the most deadly areas of the county for pedestrian and bicycle deaths in an effort to save lives. Corridor 1: Fletcher Ave. between Bruce B Downs Blvd. and Nebraska Ave.
Corridor 2: Waters Ave. between Himes Ave. and Sheldon Rd. Corridor 3: Sheldon Rd. between Hillsborough Ave. and Linebaugh Ave.
Corridor 4: Brandon Blvd. between Gornto Lake and Valrico Rd. 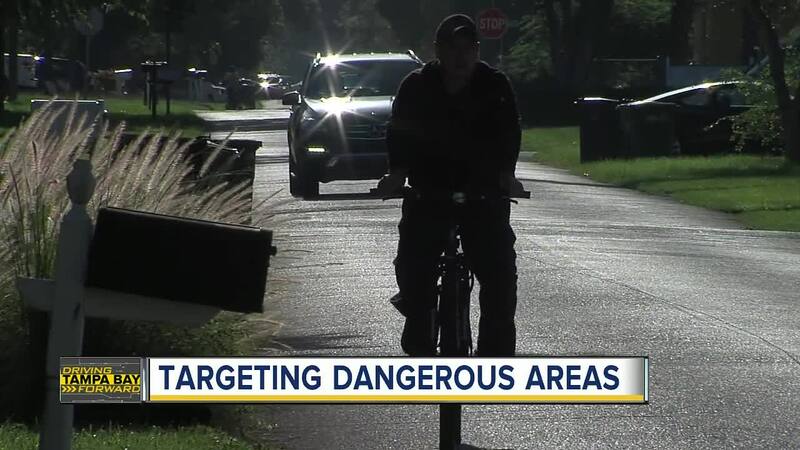 These areas have some of the highest numbers of pedestrian and bicycle crashes in Hillsborough County. 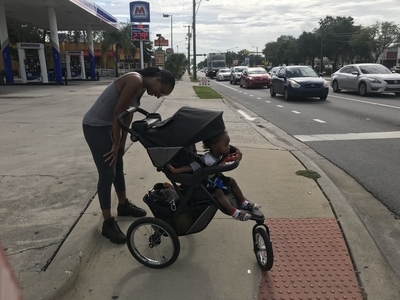 "The people in the cars, they really don't slow down not even for the kids," said Maya Bannister, who walks her toddler son along Fletcher Avenue. "There's a lot of us parents walking our kids because there's a school down there." The goal of the enforcement effort is to increase awareness and compliance with traffic laws that protect the safety of pedestrians and bicyclists. 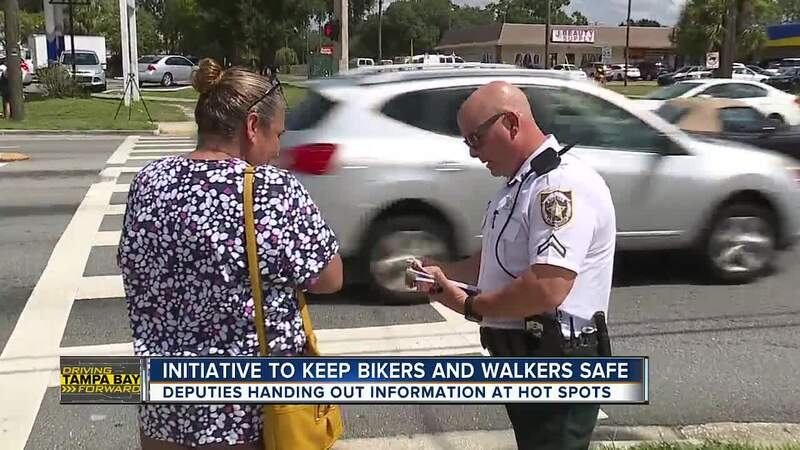 Deputies said aside from increasing patrols they will also be handing out free bicycle lights to help cyclists adhere to the Florida law that mandates all cyclists have bike lights in both the front and back of their bicycle. "Be visible," said Cpl. Kristy Udagawa with the Hillsborough County Sheriff's Office who is leading the effort. "Be somewhere where drivers predict you are going to be. If you're going to be darting out in the middle of traffic where there's no crosswalk, a driver is not going to expect you to be there." HVE details will be funded through a contract with the University of North Florida in partnership with the Florida Department of Transportation’s focused initiative to improve pedestrian and bicycle safety. "Enforcement efforts will focus primarily of education for drivers, pedestrians and bicyclists. However, violations may result in warnings or citations depending on the circumstances," according to the HCSO website . Hillsborough County ranks in the top 25 counties in the state for traffic crashes resulting in serious and fatal injuries to pedestrians and bicyclists.